File this one under the more, the merrier! 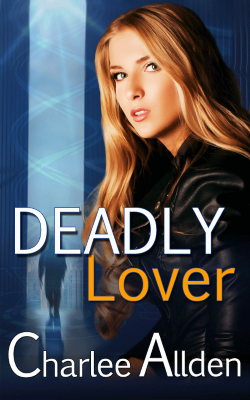 Smart Girls Love SciFi & Paranormal Romance blogger Charlee Allden added an author hat to her repertoire: she debuts this month with a near-future suspense sci-fi romance called DEADLY LOVER (Forbidden Lovers #1)! Love can get you killed. Security contractor Lily Rowan is clawing her way back to normalcy after a training mission gone horrifically wrong left her physically and emotionally broken. She’s returned to the city she grew up in, but not to hide from her nightmares, to face them. Living alongside the Ormney—genetically altered refugees who’ve settled in The Zone—is a daily reminder of the Ormney trainee who nearly took her life. Lily knew it would be tough, but she couldn’t have known coming home would drop her straight into a madman’s deadly game. Someone is drugging Ormney men and turning them into mindless killers, reenacting the attack Lily barely survived. To stop the killing spree and put her own demons behind her, Lily must overcome her fear and work with Jolaj, a refugee Law Keeper with dangerous secrets and hidden motives of his own. Jolaj long ago dedicated his life to his people, risking everything to find them a new home. But working with Lily could prove to be the most difficult task he’s ever faced. Despite the Council’s decree making relationships with the outsiders forbidden, he’s finding it hard to keep the courageous Lily at a distance. With the fragile peace between their people on the line, Lily and Jolaj must stop the horrific crimes before their growing attraction makes them the killer’s next targets. In the near future, the world is forever altered when the existence of the Ormney is made known. But two things remain the same—serial killers still walk among us and murder is still as ugly and terrifying as ever. The Galaxy Express: As the blogger behind Smart Girls Love SciFi & Paranormal Romance, you know a thing or two about SFR. Why does this genre appeal to you, both as a reader and a writer? Charlee Allden: I think I was born a sci-fi fan. I love the possibilities for adventure and I love the complete departure from everyday life. When I figured out you could add romance to that, well, I knew that was it for me. As a writer, I really enjoy the ways a sci-fi romance story allows me to explore culture and technology and the possibilities for unexpected consequences. TGE: Congratulations on your debut book, DEADLY LOVER! What inspired you to write it? CA: Thanks! I’m really excited to be getting my stories out there to readers. I can actually pinpoint exactly what inspired me. I remember it vividly. It was an article in Popular Science about how electrons move around in an atom. I liked the idea that you can’t really pin down where they are at any moment. When I created the Ormney, I modeled their ability to slip (something like teleportation) on what I read in that article. I loved the idea of taking the idea from the microscopic to the life-size. TGE: What kinds of heroes and heroines can readers expect to meet in your stories? CA: I’m a fan of the tough, tortured hero and the strong, smart, but vulnerable heroine. You’ll often find those traits at the core of my romantic characters, but I also try to make them individual and different. For example, the heroine of Deadly Lover is calm and even distant at times. She’s carrying a lot of grief and the hero is the only one that makes her feel like she doesn’t have to be strong all the time. The heroine in Stealing Mercury has had her share of troubles, but she’s held on to more of her idealism and is often leads her to act impulsively, sometimes to her detriment. TGE: Urgent question: is someone going to get in big trouble for STEALING MERCURY? CA: Oh, yes! The heroine actually ends up stealing three of the Arena Dogs—my genetically engineered gladiators. Of course she steals them to save them. Their owner is not at all amused. Her actions lead to an adventure that takes her from an uninhabited world to the tunnels beneath the Roma Rex arena. The consequences for her are life changing. TGE: Both of these books feature genetic engineering elements. What do you find most fascinating about this concept? CA: I suppose I’m fascinated by wondering how the technology be used if it ever advanced to this point of re-engineer people. What would you choose to do and what unexpected consequences might there be? I approach it a little differently in the two books. Deadly Lover hints just a little that maybe we don’t know enough about the future and what we want to be to be messing around with genetic engineering. Stealing Mercury uses genetic engineering to explore what makes us human. TGE: What are the last five sci-fi romances you read? CA: Unchained Memory by Donna Frelick, Darkness by Laurann Dohner, Venomous by Penelope Fletcher, At His Throat, A Promise by Lilth Grey, and Callisto Taken by Erica Conroy. Go ahead, call me eclectic. TGE: Your bio indicates you've studied astronomy, programming, Norse literature, and British culture. Here's a brain challenge: what's one thing all of those subjects have in common? CA: The easy answers would be that they had nothing to do with my major and that they interested me. *grins* I also think their diversity and relative obscurity reflects the curiosity that often goes with the creative writer’s mind. TGE: What's your current favorite television show/film? 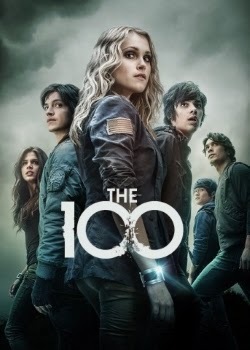 CA: The 100. I sometimes get frustrated by the ‘everyone wants Clarke’ focus of the show, but it has developed into a really wrenching drama. And Lincoln makes me swoon. He is exactly the sort of hero I adore. CA: I contribute to Sci-Fi Romance Quarterly and my issue #6 article there recommends a few more books for folks who want to explore more stories that feature genetic engineering. The upcoming issue will also include a sneak peak at the first two chapters of Deadly Lover. 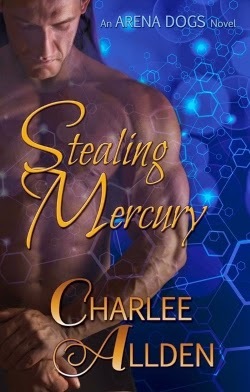 With my books, I’m focusing on the Arena Dogs series that launches with Stealing Mercury. I’m working on the second book, Betraying Jupiter, and expect to have that out this summer. TGE: We talked about your blog, but where else can readers find you? CA: For news about upcoming books, I encourage readers to sign up for my mailing list. You can also keep up with what I’m doing on my author website: www.charleeallden.com. I also have a page on Facebook and recently set up a new Twitter account (@charleallden) for just my author side. Oh, and I’m on Pinterest for those who like pretty pictures. I’d also like to quickly mention that both books are available for 99 cent for preorder on Amazon and KoboBooks. They’ll be going up to list prices the day after release. Ms. Allden, thanks for your time, and for your art. Get better acquainted with Charlee Allden by visiting her About page.